Laos, officially the Lao People's Democratic Republic, is a landlocked country in Southeast Asia, bordered by Burma, People's Republic of China, Vietnam, Cambodia and Thailand. A third of the population of Laos live below the international poverty line which means living on less than US$1.25 per day. Laos has had a poor human rights record most particularly dealing with the nation's acts of genocide being committed towards its Hmong population ~ and Laos is in news for wrong reasons – as an air force plane carrying 20 people reportedly crashed. The plane reportedly was carrying senior Laotian government officials. Reports suggest that two major figures in the security apparatus of the authoritarian Laotian government were killed in the crash: the deputy prime minister, Douangchay Phichit, and Thongbane Sengaphone, the minister of public security. For a Communist party that relies on force and intimidation to stay in power, the loss of the two officials who were considered by many to be the most powerful people in the security apparatus was a significant blow. The governor of Vientiane province was also killed in the crash. In addition to serving as deputy prime minister, Mr. Douangchay was also the defense minister and a member of the Politburo, the highest decision-making body of the Communist party. Mr. Thongbane, the chief of public security, was feared in the country and was said to be one of the officials leading a crackdown against dissent over the past 18 months. The crackdown included the disappearance of the most prominent civic leader in the country, Sombath Somphone, an agriculture specialist who led efforts to liberalize the hermetic Communist leadership. Mr. Sombath was stopped at a police checkpoint in December 2012 and has not been seen again. The Lao News Agency posted photos on its website on Saturday showing the mangled wreckage of the plane, an Antonov AN-74TK300. The news agency, citing a statement from the prime minister’s office, said that it was a Laotian Air Force aircraft and that it had crashed in the village of Nadi, west of the Xiangkhouang airport and not far from a major archaeological site of prehistoric carved stone vessels, the Plain of Jars. The plane was traveling from the capital, Vientiane, to the mountainous northeastern province of Xiangkhouang, where the officials were planning to attend a military ceremony. State television in Laos showed footage of rescue workers recovering debris from the aircraft, which appeared to have crashed in a jungle-covered area. The new publication, which weighs all the theories about what happened to the flight, highlights a quote regarding the tracking system obtained by the Daily Telegraph. ‘For US$10, you could have told within half an hour’s flying time where the plane would have gone,’ a source told the paper. 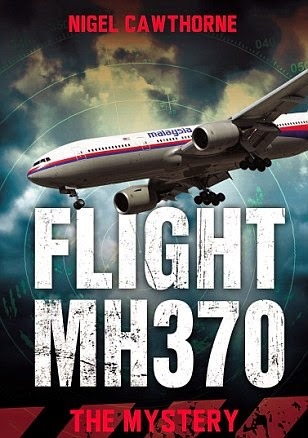 Malaysian Prime Minister Najib Razak, meanwhile, has called for real-time tracking of planes and improvements to their communication systems to prevent a repeat of the 370 tragedy. ‘One of the most astonishing things about this tragedy is the revelation that an airliner the size of a Boeing 777 can vanish, almost without a trace. In an age of smartphones and mobile Internet, real-time tracking of commercial airplanes is long overdue,’ he said. The plane which crashed in Laos is an Antonov An-74, a Soviet/ Ukrainian transport aircraft, developed by Antonov. It is a variant of the An-72. The An-72 and An-74 get their nickname, Cheburashka, from the large engine intake ducts, which resemble the oversized ears of the popular Soviet animated character of the same name. 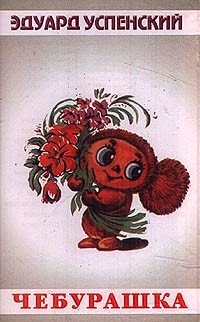 Cheburashka (which you see at the start of this post) also known as Topple in earlier English translations, is a character in children's literature, from a 1966 story by Soviet writer Eduard Uspensky.